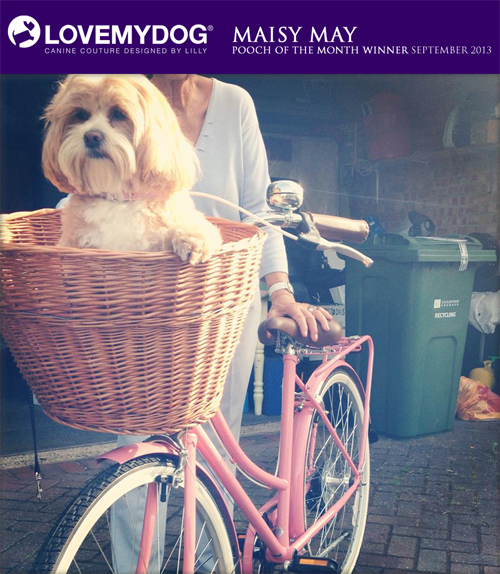 Say hello to Maisy May, LoveMyDogs’s ‘Pooch of the Month’ for September 2013. Maisy May has won a LMD Spencer Corduroy Lime Dog Lead which is soft, hardwearing and easy to clean. Click here to enter your photo (but make sure you use a computer rather than a tablet or mobile): LoveMyDog ‘Pooch of the Month’ Competition.